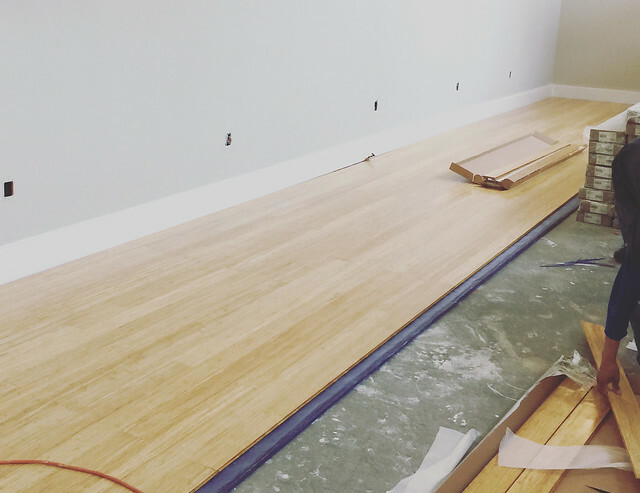 If you’ve been a blog reader for a while, you may remember Angela Lutzker from her stunning home renovation we featured a couple years ago, or most recently as an artist in La Bella Strada: An Italian Street Painting Festival. 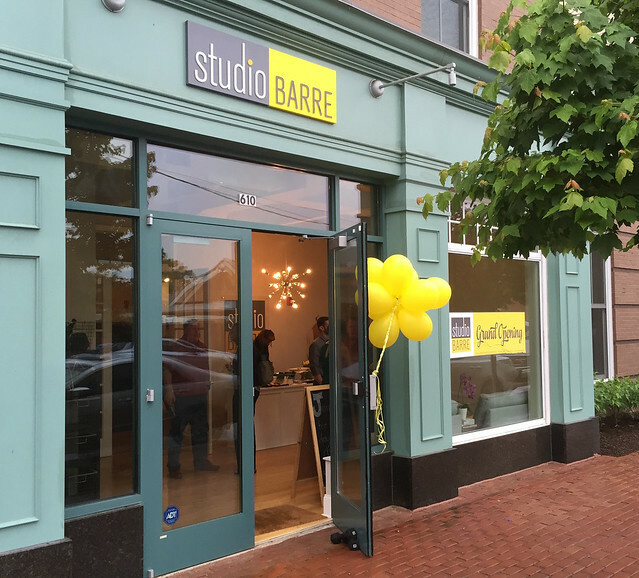 Earlier this year, Angela embarked on a design project of a different nature, opening her own workout studio in town, Studio Barre. 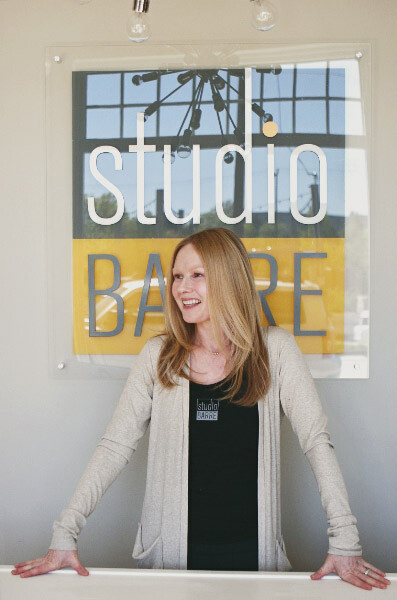 Leslie and I received a warm welcome when we stopped by to see how she’s designed the space and to try out a class. 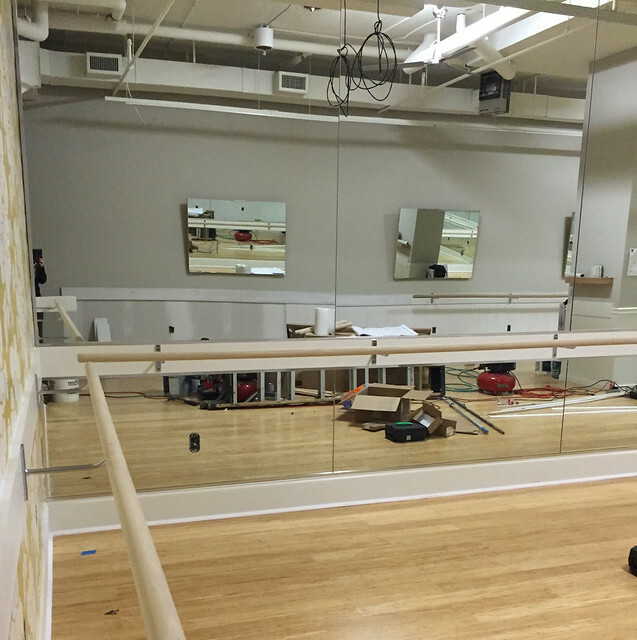 …into a mirror-lined studio space with wood floors and dance barres along the walls. 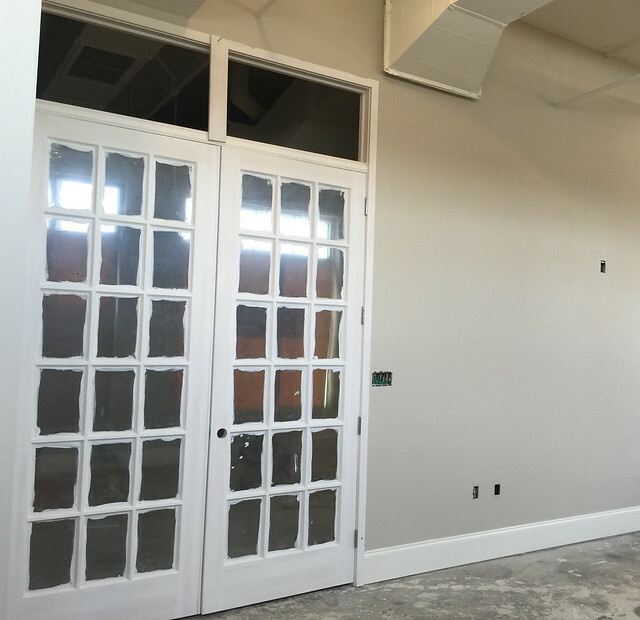 …as well as a set of French doors to lead from the front entrance and boutique into the exercise studio space. 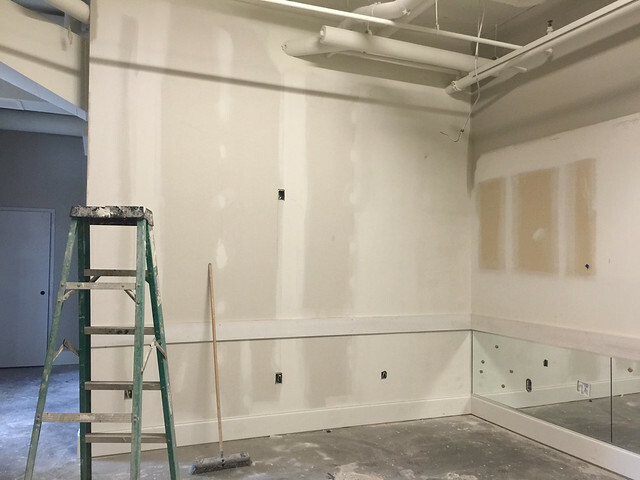 The finished studio is just as beautiful as you’d expect from someone with as much artistic and design talent as Angela — bright, airy, contemporary, with splashes of bold color and contemporary wallpaper — which you can see in the mirror here. 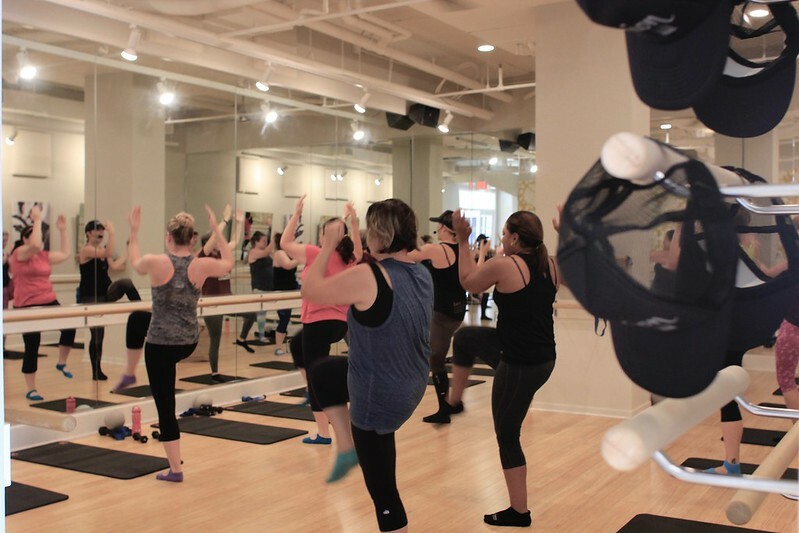 You can check out Studio Barre yourself during a free class if you mention DIY Del Ray. The class we tried was fun and fast-paced. Angela says she loves helping people meet their fitness goals. 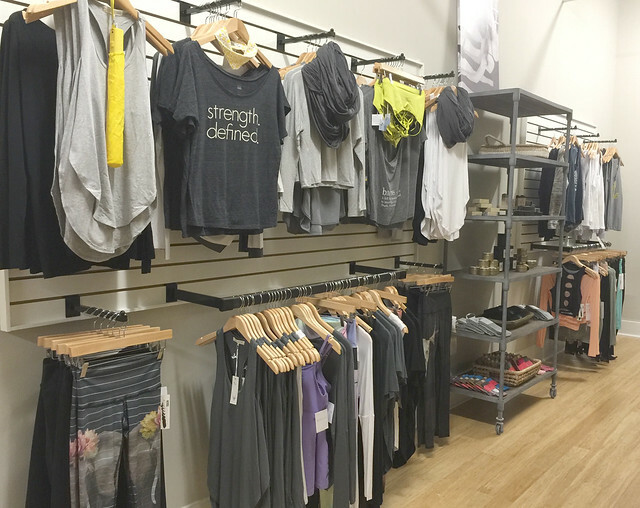 In addition to the workout studio, Angela carries a line of clothing and accessories in the boutique that you could wear anywhere — to and from class — or out for a night on the town. If you take 100 classes you can get a free hat, bragging rights, and a trim figure! Congrats on your new venture, Angela! Congratulations, Angela!! What a wonderful idea & attractive studio. Best of all it looks like a fun place to work toward a healthy body & enjoy some friendships too. — Also, congratulations to Justine for a wonderful report & photos.